How Did Your Last Makeup Purchase Turn Out? Like truly moving makeup gems! One of them was something I’ve been hoping to find for years — decades even — a drugstore foundation I could love with every fiber of my being, and I finally have. 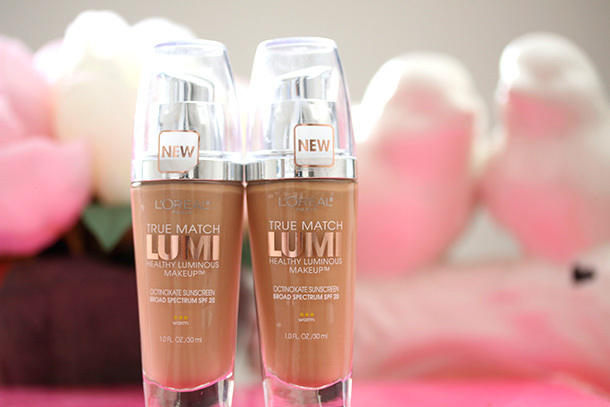 I cannot stop raving about L’Oreal True Match Lumi Healthy Luminous foundation ($12.99). I went on a 10-minute sermon about its wonderfulness to a stranger sitting next to me at the dentist’s office yesterday, and I didn’t even care when her eyes started to glaze over. I think the poor woman was wondering if I’d ever stop to take a breath (I did). And I don’t even have to resort to special blending methods or doohickeys to make it work. No primers or fancy tools. Just a bit applied with fingers. That’s all. Right now I’m not using it with powder because my skin’s been incredibly dry, and powder makes it look even drier, but for more coverage I’ll just top it with either MAC Mineralize Skinfinish or Chanel Loose powder. I was looking at this foundation at Walgreens and I was ready to get it but they didn’t have my shade. They had one bottle but it was open before and I don’t like that! I got L’Oreal Infallible Matte foundation instead and I am in LOVE! The shade I got matches me perfectly, it applies like a dream, lasts all day and covers ALL imperfections. Not that you need another foundation, but you should try it! Good! But I tried a sample first, so I knew what to expect. It was a primer by Dermalogica. I’ve just got this morning my Tom Ford Translucent Finishing Powder. HIHIHI … but i did not try it yet, just swatched it !!! I’m still ill in bed…so no makeup except for a bb cream. Bonus, after hearing me chatter about makeup at work, at least two of my coworkers want me to do their makeup. Score! I’ve been spending lately to combat my depression a bit, so let’s see, last night I bought some Wet ‘n Wild eye shadow crayons – one of them in Pixie to go with my purple mascara. It may be starting to crease already (4 hours wear), even with primer. Sigh. I also got the NARS creamy concealer on Sunday after hearing all the reviews. Feeling really good about that! And trying to wear make up more so I feel more badass and awesome instead of ugh life. 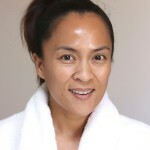 I finally went all-in and splashed out for Lancome 24hr foundation…it id the mist beautiful! Very happy with it. I also got a few different products from Em Cosmetics, of which I a very best underwhelmed with their performance. Revlon HD Lipgloss and I love them! I went to the drugstore looking for some easy to wear lipsticks, just something so I wouldn’t look like a zombie. 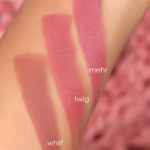 I found Loreal Color Riche Balm in Plush Plum and Electric Pink. Totally wearable, affordable, and they look and feel great! Yay for the drugstore, occasionally! Lol! I hear so many good things about that foundation! I must try it soon. I love that drugstore foundation formulas are so great now. And my latest Sephora purchases have all been skincare, but I did finally cave and get one of the NARS duel-intensity shadows in Dione, and I love love love it. I’ve been wearing it nearly every day in some form. Fantastically!! I bought most of the Chanel Reverie Parisienne collection (with the exception of the eye palettes and eyeliner) and I’m enjoying every single piece. I justified it by saying 1) I bought nothing from their holiday collection because it was too cool toned and I didn’t even think the highlighter was pretty and 2) I won’t buy anything else for the rest of this month LOL! I’ve been trying to control myself and not buy anything… But yesterday I relapsed. I bought Nars sheer glow in Barcelona and Kat Von D liquid lipstick in Bauhau5. I am in loooooove with the lip stain it is beautiful. The foundation I love in natural lighting but when I took pictures with flash it gave that white cast which I don’t understand because it doesn’t have spf in it:( I don’t want to return it because it is beautiful. Any suggestions ladies? It went great! 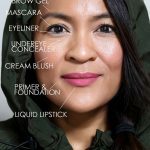 I’ve been on the hunt for a long-wearing foundation with great coverage. I heard tons of good things about the Estee Lauder Double Wear Foundation and I spent my Sephora gift card on that. I love it! I’ll have to keep my eyes open for this Loreal one as a back up! YSL Le Teint Touche Eclat Illuminating Foundation has become by go to this winter over my Armani Luminous Silk and Marc Jacobs Twinkle Pop in 3 Shakes has been a god send for an effortless slightly smokey eye. I blend both out with my fingers which cuts down on my get ready time in the morning. I purchased the Philosophy Hope in a Jar foundation in light 5. The color match was spot on and the coverage was natural looking. Unfortunately, it really burns my face when I apply it, so a no go. I picked up a new Essence blush at Ulta a couple of days ago that is a beautiful shimmery, (not glittery) peachy shade. Was only $2.49 and it lasts all day on me although that is over primer and powder. Going to pick up one or two more colors soon. I’m drooling hehe! I guess this is not the same as their Lumi Magique? If not I can’t wait for it to come to Greece (or in any online European store for that matter!). Happy Friday! I’ve always been fond of Tru Match Lumi! I actually found it to be nearly identical to the Bobbi Brown Skin Foundation. My most recent makeup purchase was the Anastasia Beverly Hills Contour Kit, and it was a smashing success!!! I’ve been using it every single day, and I’m really impressed with it. The last drugstore gem I found was the NYX brow gel. Holy smokes. Game changer. Another goodie that I bought without even swatching first was the mac viva glam Rihanna 2. I ordered it from Nordies & pair it with nightmoth + explicit. I’ll be singing the praises of this lip combo forever! I’ve been wanting to try this foundation forever and I think you just convinced me! Today was my first day trying the new loreal infallable matte foundation and so far, I’m liking it! SO happy for you on the foundation working! When you find a good drugstore foundation, hold on to it for dear life! Or ANY foundation for that matter. I last got another Holy Smokes cream shadow by Benefit at Sephora in JC Penney and one of the waterproof eye shadow pencils by Sephora in Lilac. My old Holy Smokes shadow had dried up and I love how versatile and long-wearing it is. It pairs great with Laura Mercier in Stormy Grey, a suggestion you had given me when Benefit came out with the new creaseless cream shadows! The Sephora waterproof eye shadow pencils are great – they don’t crease and will stay on through a workout. Oh my! Trouble coming my way! 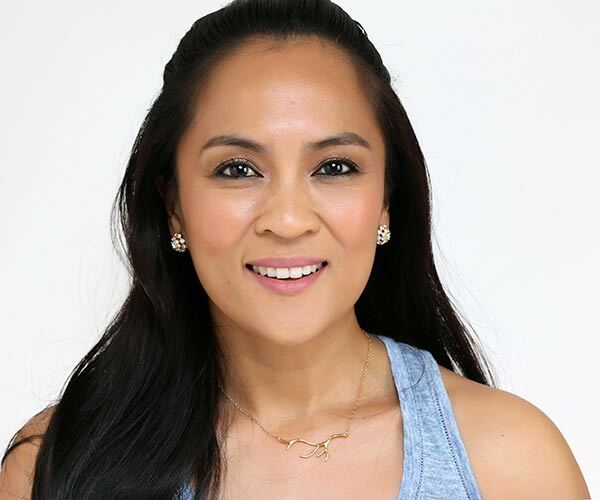 I love the LM Flawless Smooth Finish fluide foundation that I tried following your raves… so I am in trouble if you say that this one is amazing as well! Fortunately, last week it had not arrived yet to this side of the Atlantic, so I have some time still to count my pennies! Hi Karen!! I haven’t been around in awhile (busy new year) but it’s good to be back! I’ve missed your blog. Lumi is great! I’m usually too oily for it, but in the dead of winter, it’s perfect 🙂 My recent purchases have been good and bad! The ELF matte lipsticks = so terrible. Good thing it was only $2. Successes for my Ulta/drugstore visit last week have been the L’Oreal Pro Matte Infallible foundation, the Maybelline Fit Me Matte + Poreless powder (seriously silky! ), the IT Cosmetics Vitality lip stains (in gloss and lipstick form), NYX Butter Gloss in Devil’s Food Cake, and Mario Badescu’s Cucumber Cleansing Lotion. Don’t know yet because it’s on its way! It’s my first Hourglass eyeshadow purchase so there is something to celebrate. But today I wanted just to celebrate work, life, and love, not necessarily in that order! And I’m not gonna believe the negative reviews on this and the other Modernist palettes. You either love these things or hate them. I’ll go with the love! 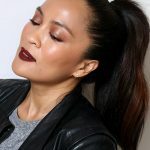 Sylirael recently posted … Power Lipstick for the 80’s Rogue: Getting Your Jem On with Too Faced Melted Fuchsia! Hi Karen, thanks for this recommendation! 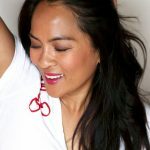 I have been following your blog for awhile now, and I think we have the same skin tone and prefer the same colors (I just bought the Modernist palette in Color Field and absolutely love it too!). I was wondering what shade you got because I think it would be the same shade for me too. Thanks! 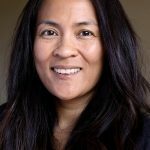 Love your blog, so informative! Yes! I would also love to know what shade you are, I’ve been dying to try this foundation. B+! I got the Maybelline Lash Sensational mascara and a new Revlon lip gloss; I really like both of them. I guess I’ll be taking my favorite Lancome foundation into the drugstore to match my color to L’oreal! I’v heard they are all under the same company umbrella, so maybe a match will be easy. Hi! I have been looking for a good one. Do you think it’s good for sensitive skin? What color are you? I am the same tone as you are! Thanks!! I’d been hearing a lot of good things about the L’Oreal True Match Lumi Healthy Luminous foundation and had wanted to try it for a very long time… I too finally picked one up and tried it recently… and I am in love as well!! It is amazing and looks so natural!! My last makeup purchase was two of the Hourglass Modernist Eye Shadow Palettes in Monochrome and Color Field. I having loads of fun playing with them and I went ahead and ordered Exposure. I was at Target wandering aimlessly buying anything my stomach desired and I decided to look at makeup while I was there too. I ended up buying Rimmel’s new Provocalips in the shade Kiss Fatal. I read about it a loooonnggg time ago on some UK blogs and it is finally stateside! Man the color is a beautiful natural berry and it really is super long wear! I can kiss my hand and it doesn’t transfer. Lasts through my lunch break and when I drink from my water bottle I notice it doesn’t transfer there either! I was really blow away! I’m gonna pick up more shades! It is a little drying but not too unbearable. This seems to be magical.. An u know I am in need of a foundation an this is going to be it !!.. I have a dry skin so I think it should work for me. My last makeup purchase was the Hello Kitty anniversary palette. I managed to grab it for half off. I haven’t used it yet (I’m still admiring the prettiness) but will do so soon. I recently got some hot red lipsticks from L’Oreal paris!! And am totally loving them! I really like this foundation too! Wish they made lighter shades in it, I have the lightest which doesn’t always work for me (a ghost in the winter). Karen, is this anything like MAC Hyper Real? I’ve been looking for something comparable since they dc’d it. fancie recently posted … NYX Spring Sneak Peeks! Oil control is my pivotal issue and from what I just read about it sliding off oily skin, I’ll pass. Absolutely random, but I think you might like this to help keep your dry skin in check this winter. Next time you hit Sephora ask to get a sample of Ren’s Vita Mineral Omega 3 Optimum Skin Serum Oil (http://www.sephora.com/vita-mineral-omega-3-optimum-skin-serum-oil-P174617?skuId=1585603), six to nine pumps should last you three nights. I swear this stuff is liquid gold – the choir sings, angels soar – I think you catch my drift. The scent isn’t super awesome (my husband isn’t a fan), but it makes my skin glow, and my year-round flaky skin is practically obsolete. 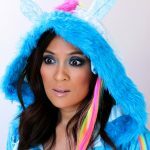 Nicole recently posted … Can we chat for a sec?